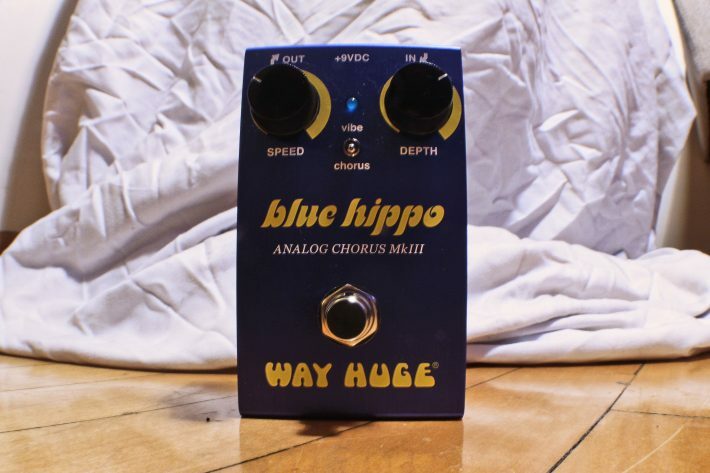 The Way Huge Blue Hippo Analog Chorus MkIII is part of Dunlop’s newest line of Way Huge “smalls” pedals, featuring classic Jeorge Tripps tones in more pedal board friendly housings. 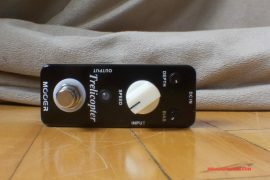 These were revealed at this year’s winter NAMM show, and given the reputation of Jeorge Tripps and his brilliant designs, as well as the generally contentious nature of chorus effects, we were excited to get a chance to check this mini wonder out. 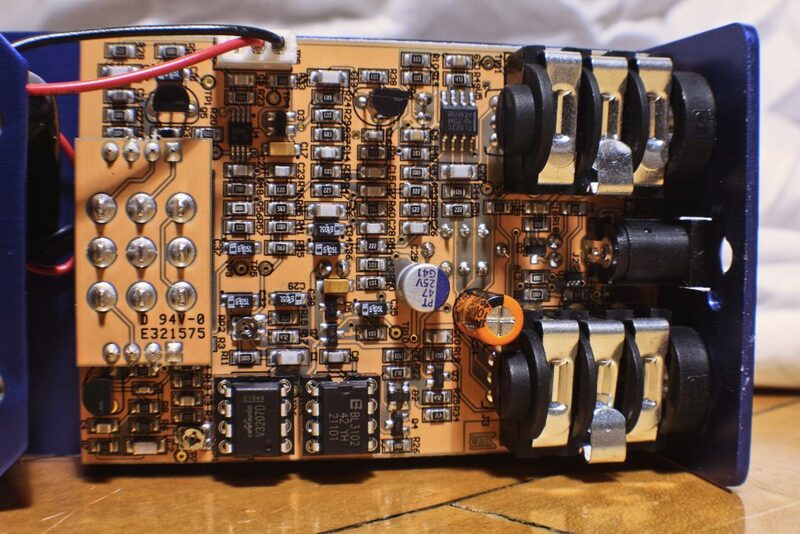 Ok, so the original Blue Hippo was a bucket brigade design pedal made by Jeorge Tripps from what was essentially the electrical scaffolding of the Boss CE-2 chorus pedal. Tripps made a name for himself modifying pedals and designing circuits in the 90’s, before starting Way Huge, and eventually partnering with Dunlop. One of the things that is interesting about the Tripps legacy is that some of his most successful pedal designs have been based on pedals that were relatively unpopular in their original incarnations. 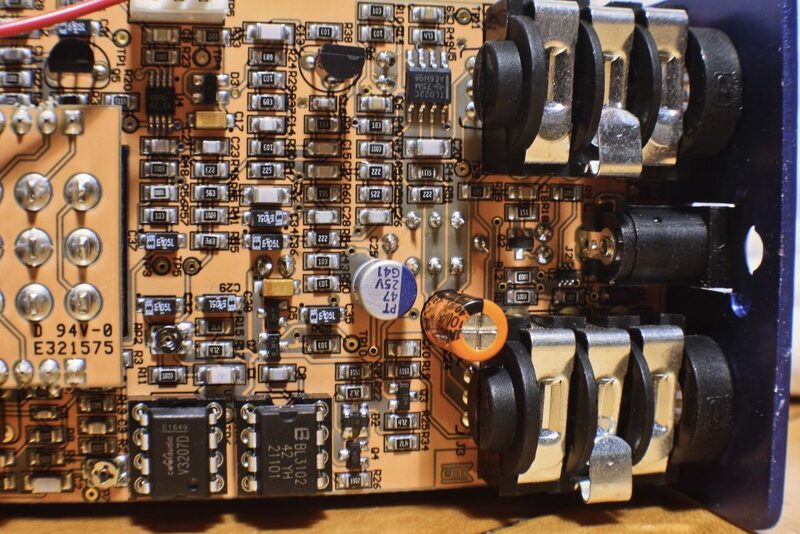 This was certainly the case with the Boss CE-2, which in the past decade or so has garnered a following among analog pedal enthusiasts, and chorus fanatics. The original Blue Hippo is out of production, though you can get one on the used market if you are willing to pay the hefty price. The MkII, released in 2015, resurrected the design of the original and even included a few updates that expanded the sonic possibilities of the pedal. The second version can still be had, though since the run was limited to 900 units, eventually you may be forced to look elsewhere. This issue of scarcity, coupled with the large footprint of the Way Huge line in general, has opened up the opportunity for yet another line of reissues. And so here we are with a fresh batch of Way Huge pedals to choose from before they too disappear, inevitably to resurface on the used market for Klon-level prices. We have to say that we are happy to have another shot at collecting the whole set of Way Huge pedals, and now that they come in smaller sizes, it will be easier to incorporate them into a standard pedal board setup. Speed: controls the rate at which the modulation effect occurs. On the chorus channel, the higher you turn this knob, the more “liquidy” the sound becomes. On the vibrato channel, the higher you turn this knob, the quicker the vibrato becomes. Depth: controls the level of the effect, or the wet signal. The higher you turn this knob, the “deeper” the chorus or vibrato becomes. On the vibrato channel, the higher depth settings put you into warble territory, and with some tweaking you can even get close to a tremolo effect. 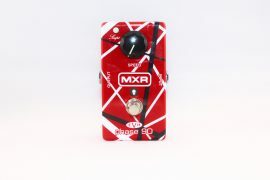 On the chorus channel, the higher depth settings (past about 3 o’clock) will get you that slightly out of tune modulation effect that was so popular in 80’s New Wave, and eventually hair metal. 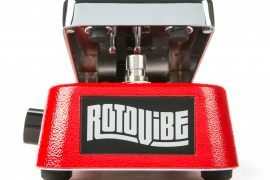 Mini switch: toggles between the Chorus and Vibe (vibrato) channels. LED: not only indicates that the pedal is switched on, but also flashes to indicate the current rate of the effect, based on the setting of the speed knob. This is the type of detail that goes a long way, especially in live situations, and we are always pleased when manufacturers take the extra time to include these things. 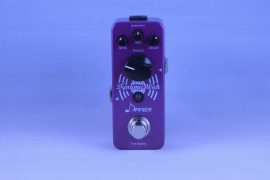 Though this pedal only has two knobs and one toggle switch, there are a ton of really nice tones to be had, from 12 string-type chorusing, to old Fender vibrato amp sounds, to Leslie-style univibe sounds, to 80’s decadence, and even weird and experimental. 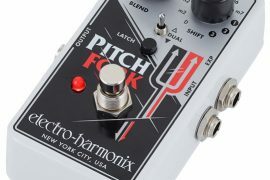 Even if you don’t typically use or like chorus, this pedal is worth the price for the vibrato function alone. The range of possibilities is so broad and the sound is so natural, thanks to the purely analog circuit, that you would be hard pressed to find an equally priced bucket brigade vibrato unit anywhere. I found myself using the chorus a lot more than I had expected, mainly as an always on effect with the knobs set on the conservative side. I found that the extra treble boost and slight thickness that the chorus channel lent to my sound were excellent for both arpeggios and leads. This is even more the case for situations where you are the only guitar player in the group and want to fill out your sound a little bit without compromising the fundamental character of your tone. The Way Huge Blue Hippo also plays well with others. We tested it in combination with overdrives, fuzzes, and other modulation pedals, and in each instance, the Blue Hippo shone through without muddying up the overall mix or affecting the dynamics. 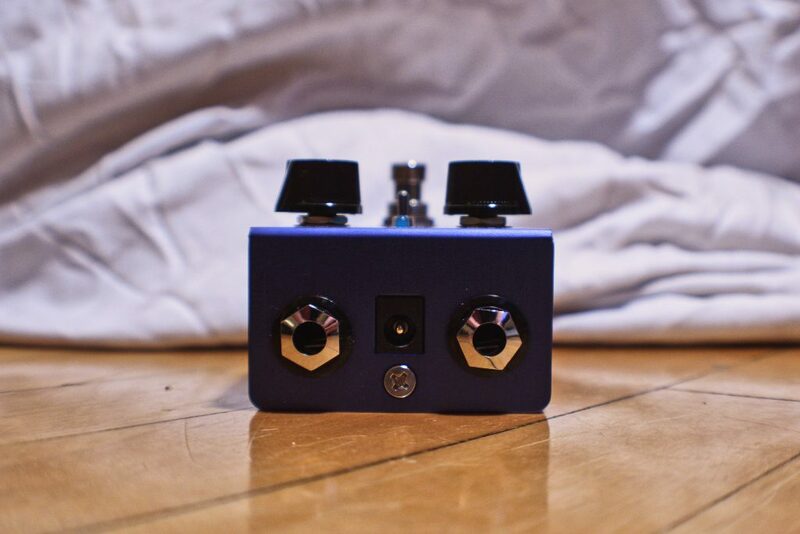 We don’t know how long this run of Way Huge pedals is going to be around, but we do know that the Blue Hippo is definitely one that you should check out. The 2-in-1 configuration, the classic bucket brigade design, and the small form factor all make this pedal a fun, convenient, and versatile unit. You get boutique sounds at a mass produced price. Not bad.